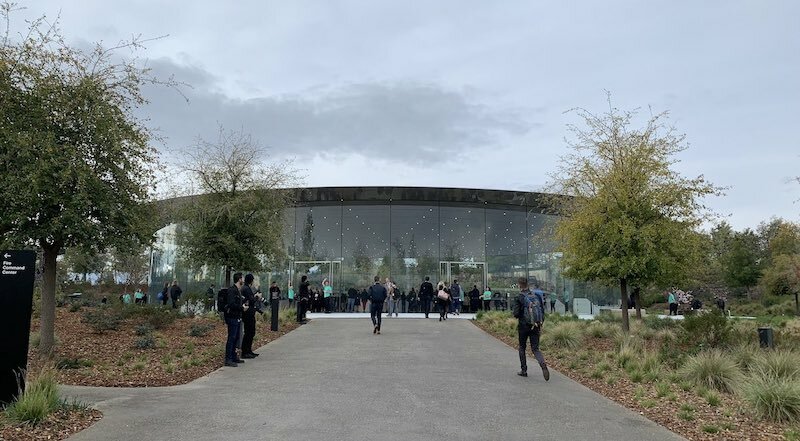 Apple’s “It’s show time” event at the Steve Jobs Theater on the company’s Apple Park campus begins at 10:00 a.m. Pacific Time (1 p.m. Eastern Time), and following several hardware announcements last week, we’re expecting Apple to focus on services today. The two key services we’re expecting to see unveiled today are a news and magazine subscription service and a new streaming television service that will ultimately include not only Apple’s own original content but also allow users to easily subscribe to other services such as Starz, Showtime, and perhaps HBO. Apple may also be planning to unveil several new Apple Pay features, including a rumored Apple-branded credit card issued in partnership with Goldman Sachs. Last-minute rumors have also suggested we could see something about a gaming-related subscription service. Following the event, we should see the release of iOS 12.2, perhaps adding support for Apple’s magazine and news service, as well as bringing Apple News to Canada, new Animoji characters, HomeKit TV support for third-party TVs, and more. Additional updates in the form of macOS 10.14.4, watchOS 5.2, and tvOS 12.2 are likely also coming today. In addition to Apple’s video stream, we will be updating this article with live blog coverage—no need to refresh—and issuing Twitter updates through our @MacRumorsLive account as the keynote unfolds. Highlights from the event and separate news stories regarding today’s announcements will go out through our @MacRumors account.